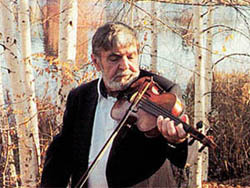 Cape Breton fiddler Joseph Cormier, rhythm tap dancer, James Godbolt, a.k.a. Jimmy Slyde, wooden boat builder Harold A. Burnham, Malian balaphon player Balla Kouyaté, and Irish step dancer Kieran Jordan . . . these are just some of the individuals who have been awarded MCC Artist Fellowships in the Traditional Arts since 1999. All were recognized for their artistic excellence within art forms that are deeply rooted in tradtional and ethnic culture. These fellowships are awarded biennually. The postmark deadline to apply is October 7, 2012. Guidelines are available online. Next Next post: Pickles, meat pies, lemon grass, and poppy seed cake . . .